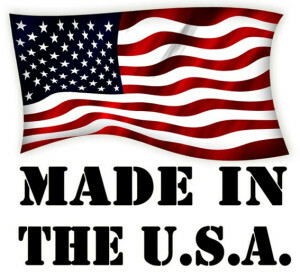 The phrase “made in America” comes and goes with the times. Watches, timepieces, and clocks are no exception. While most of the fine watches we repair here in our New York City office are Swiss-made, that doesn’t mean we don’t keep a keen eye on the American watch and clock scene. It’s all amazing technology, with an equally amazing history – as much art as science, as much practicality as style. So for this December blog, I’d like to take my eye off of Swiss Watch Repair here in New York City – the Tag Heuer‘s, Hamiltons, and Breitlings of the world, and turn to the American watch seen. Here’s a run down of American watches and clock manufacturers. Since 1897 Chelsea Clock has been manufacturing clocks in the United States specializing in marine timepieces and Ship’s bell clocks. Today they manufacture every component of their cases in Massachusetts and their ship’s bell movements are completely manufactured in-house except for the platform escapement. RGM Watch Company was founded in 1992 by American watchmaker Roland G. Murphy. Ever since, he has been “making history in watchmaking” here in America. While continually producing bespoke timepieces, such as the Caliber 801 and the Pennsylvania Tourbillon, RGM has kept the great traditions of fine watchmaking in focus. Modern manufacturing co-exists with antique, hand-operated machinery. Hand-blued screws and hand-polished components are at home among the close tolerances afforded by automated machines. Based in Lancaster County, Pennsylvania, RGM now produces 3 in-house calibers with nearly everything but the escapements made in the U.S.
Kobold was founded in 1998 by Michael Kobold as part of a Carnegie Mellon University entrepreneurship class project. Based in northwest Pennsylvania Kobold makes watches for adventurers. You might remember their famed 2004 advertising campaign featuring James Gandolfini with his middle finger in the air. In 2006 they began assembling watches in the U.S. and in 2007 they began investing in equipment for manufacturing. In 2008 they released the Spirit of America Automatic, the first serially produced American watch in 39 years. Its case is 100% Made in USA. Weiss Watch Company designs and builds luxury timepieces with mechanical movements by hand in Los Angeles, California. They merge historical techniques and modern technological advances, with every process perfected by a Swiss trained and certified American watchmaker. Weiss WatchCompany strives to increase the percentage of domestic sourcing with each edition, and is resurrecting industry practices that have not been active in the United States for well over a century. Weiss designs, engineers, and manufactures their own cases and dials, as well as finishes each movement by hand. All case parts, dials, spring bar tools, and packaging are designed, engineered and manufactured in Los Angeles. Current mechanical movement, hands, buckles, case-back screws and spring bars are made in Switzerland, with finishing and assembly completed at their Los Angeles studio, but they are prototyping a new caliber which will be completely manufactured in the United States. Headquartered in Los Angeles, and led by Creative Director, Designer, and Conceptual Artist Scott Devon, Devon is a design lab dedicated to creating innovative luxury products that exemplify theAmerican spirit. Devon began with the design of the exclusive Devon GTX Super car, which combined luxury withAmerican muscle and set the one-lap world record at Laguna Seca. Following the GTX, Devon introduced and reinvented the watch with a patented system of interwoven Time Belts™ called the Tread 1. Devon will continue to bring products to market with leading-edge vision and exquisite command of the artistry of design. The Devon Tread1 and Tread2 are unique quartz watches manufactured in the U.S.A. They are currently working on a prototype of a mechanical version of their unique Tread concept which will also be built in the U.S. Oh, and don’t forget that they have a Star Wars watch, here, for only $28,000. While technically not “made in USA,” the Apple Watch is of course an innovative American idea. Apple – based in Cupertino, California – does its design work in the USA, with the watches made overseas. This is not a classical mechanical watch, but rather a piece of high-tech wizardry. To each his own!